Changing the way you drive can keep you off the brakes, save money and keep you on the road. Just slowing down, stopping more time to avoid overloading your car and changing other actions, our driving habits can extend the life of your brakes and maintain their performance. Thanks to healthier brakes, you can drive your car better and feel more secure on the road. When the brake pads fail, they can cost much more than a few amount to replace the pads. Without healthy brake pads, many other parts of your car will start to break, which can cost lots of money for other repairs. out, pressure is applied to the rotors instead. The rotors may eventually bend, grind, or even crack, which requires expensive replacement. Bad brake pads can also cause your wheels to become hotter, and this can lead to deformation of the rotors. If you replace the brake pads as needed, you can keep the same rotors for a very long time and save a lot of money. Pay attention to warning signs that your brake pads have problems, such as screeching or strange smells, and replace the pads without delay. Brake calipers are another part of the overall braking system. Brake calipers look like clips that are placed on the rotor and connected to the brake pads. These are the hands that control the brake pad sandwich. When you brake, the calipers apply pressure to the rotors to stop the wheel rotation. 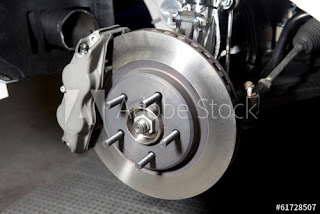 Brake pads, however, are the buffer between the calipers and the rotor.When the pads are worn, there is nothing between the calipers and the rotors, and the two parts are simply grinded together. Supports are important components of the braking system, so damaging them can have serious consequences, and replacing the brakes can cost a lot of money. Your suspension system plays a big role in how your car reacts to external stimuli. With the right suspension system, your ride will still feel smooth, even when you are driving on gravel or other bumpy roads.When your suspension system becomes damaged or unbalanced, it will make your ride much harder.Over time, bad brakes can disrupt the suspension system, causing it to fail or damage some of its components. Even if you change the brakes, a damaged suspension system can cause the car to roll forward when braking. A damaged suspension system can cause other problems, including vibrations and strange noises. Worn brakes do not work as efficiently, so ultimately you will be much stronger than you should be with healthy brakes. Your tires will hit every time you have to apply the brakes.Rubber wears out faster, which increases the risk of tread damage and tire damage. Bad brakes can also cause your tires to become unbalanced or fail, and this can cause a variety of problems with your tires and other vehicle components. Protect your brakesFortunately, there are many things you can do to protect your brakes and ensure the best performance for them and the best performance for your car. Perhaps the most important thing you can do for your brakes is to give yourself enough time to stop. Do not close people, forcing you to press the brakes and wear the brake pads faster. Plan your route so that you do not press the brake pedals to take turns at the last minute. Look ahead as you drive to discover any obstacles before they make you suddenly stop. Look for brake lights, drivers who quickly stop in front of you, animals on the side of the road and much more. Do not ride the brakes while driving. By giving yourself enough stopping distance, you still will not feel the need to constantly apply the brakes, since there will be plenty of free space in front of you. If you are in a traffic jam, just let the space form in front of you before moving forward. You do not need to move several inches each time they open. Clean your car of heavy objects and do not allow hit in the car. The heavier your load, the more pressure you put on the brakes when you stop, which wears the components of your brake faster. With less load, you protect your brakes, improve fuel efficiency and get better performance from your car. Slow down, keep a safe driving distance, avoid mess in the car and practice the general rules of safe driving, and you protect your brakes and protect your car.